TeamViewer, a global leader in secure remote connectivity solutions released an update to its dedicated Internet of Things solution, TeamViewer IoT. With the latest version of TeamViewer IoT, the German connectivity powerhouse further strengthens its offering in the IoT space. With this update, TeamViewer IoT now provides enhanced configuration and troubleshooting qualities as well as new capabilities such as real-time data and edge visualization in the TeamViewer IoT Edge Management application, which allows for comparison and correlation of live, interrelated data during remote troubleshooting. Users can also easily access their most-needed metrics during remote troubleshooting by pinning them to a dashboard in the TeamViewer IoT Edge Management application. Furthermore, ready-to-use code snippets (Node JS and Python) significantly reduce the time to develop custom connector and publishing sensor telemetry to the MQTT API of TeamViewer IoT. In addition, pre-configured commands can now be sent directly to actuators via a dashboard in the TeamViewer IoT Edge Management UI. TeamViewer IoTs platform support has expanded with a TeamViewer IoT agent RPM package, allowing support for industrial PCs and gateways with CentOS Linux. 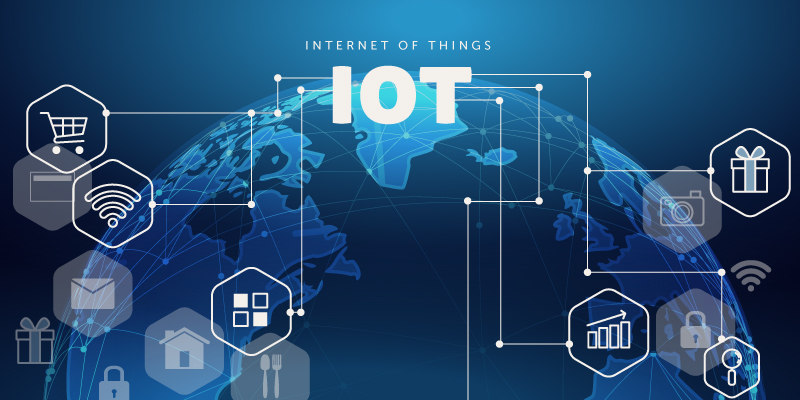 “The latest version of our dedicated IoT solution marks the next decisive step towards leveraging our leading connectivity expertise for a horizontal, non-proprietary IoT solution that just works. We continue to focus on providing enhanced tools and services to reduce downtime due to machine or device failure via direct access and real-time information critical for immediate troubleshooting, configuration and repair,” says Raffi M. Kassarjian, General Manager of IoT at TeamViewer. TeamViewer IoT features live remote control and incident management for virtually any IoT device such as gateways, Programmable Logic Controllers (PLCs), and specialised industrial machinery. It benefits from Team Viewer’s Global Access Network of more than 1100 secure routers dispersed worldwide and integrates seamlessly with existing IoT platforms, as well as legacy IT landscapes. The crossplatform functionality of TeamViewer IoT and its costeffective implementation has already won over renowned partners such as PTC ThingWorx, Vodafone and Dell. A global connectivity powerhouse, TeamViewer empowers users to connect anything, anywhere, anytime. Its market-leading solutions offer secure remote access, support, and control and collaboration capabilities for online endpoints of any kind. By innovating with cutting-edge yet easy-to-deploy Augmented Reality (AR) and Internet of Things (IoT) implementations, the company enables businesses of all sizes to tap into their full digital potential. TeamViewer has been activated on more than 1.7 billion devices and serves at least 40m concurrent connections at any time. Founded in 2005, the company employs more than 700 people in offices across Germany, the United States, Australia, Armenia and Japan.